OMAHA – With every patient he sees, Dr. William Jurgensen is reminded why he became an OB/GYN. “It’s the joy of being involved with people’s families and God’s gift of children,” said Dr. Jurgensen, who has joined the staff at Methodist Physicians Clinic Women’s Center. An Omaha native, he received his medical degree from Creighton University School of Medicine and completed his training at Creighton University’s affiliated hospitals. He has been an assistant clinical professor at Creighton University Medical Center since 2000. 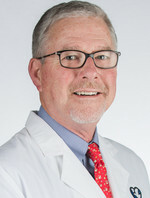 He previously practiced at Mid-City OB-GYN in Omaha, Alegent/CHI Health in Omaha and Physicians of OB/GYN in Omaha. At every stop, he has built collaborative relationships with his patients. Family is also important to Dr. Jurgensen. With the birth of the first of his five children, he said, he understood unconditional love. “I love a lot of things, but nothing more than my family and kids,” he said. All that said, it’s easy to see why he found Methodist’s family atmosphere and “Meaning of Care” philosophy attractive. Dr. Jurgensen is now seeing patients at Methodist Physicians Clinic Indian Hills (8901 West Dodge Road) and Methodist Physicians Clinic 192Dodge (717 N. 190th Plaza). Appointments can be made by calling 402-815-1700.